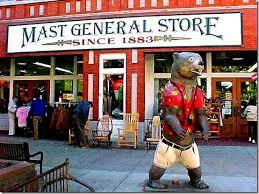 Historic Downtown Hendersonville is in Henderson County and located 30 minutes or 22 miles southeast of Asheville. The city is more than just a business district. It is the heart of an economically and culturally vibrant mountain community. Take any day of the year to walk the 16 blocks that constitute Historic Downtown Hendersonville and you'll find a place bustling with the activity of work and play. Cruise, on foot or in your car, the distinctive serpentine Main Street for an introduction to our mix of specialty shops, art galleries, funky-to-formal restaurants and vibrant entertainment venues all while enjoying free outdoor Wi-Fi. Whether it is serving as the core of the North Carolina Apple Festival over Labor Day weekend, kicking off spring with the Tulip Extravaganza and Garden Jubilee or highlighting the holidays with the Holiday Tree Lighting, downtown is the year round center for celebrating the community's heritage and diversity. Today, the downtown Hendersonville district is defined by the boundaries of the Main Street municipal service district, which is shown in the image to the right with green highlight. This special tax district funds the varied work of the City and the Downtown Advisory Committee as it relates to supporting a vibrant downtown. A visit to Downtown Hendersonville can also take you back in time. Incorporated in 1847, Hendersonville is a fantastic place for history buffs who want a deeper understanding of our area’s culture and peoples. Your journey into the past can begin at the recently restored Historic Downtown Courthouse at First and Main, home to the outstanding Henderson County Heritage Museum. As you stroll from the Courthouse North toward 7th Avenue, you’ll notice a variety of architecturally significant buildings that are now home to dozens of shops and services ready to make your stay special. Throughout the spring and summer, Downtown is host to a number of indoor/outdoor events including the Garden Jubilee (May), Main Street Antique Sidewalk Show (June), and Chalk It Up (July)! May through September, you’ll hear lots of music downtown, with the ever-popular Music On Main concerts every Friday night, the fabulous Monday night Street Dances featuring mountain heritage music and dancing and of course the award winning Rhythm & Brews (name says it all!) held on the third Thursday of the month. 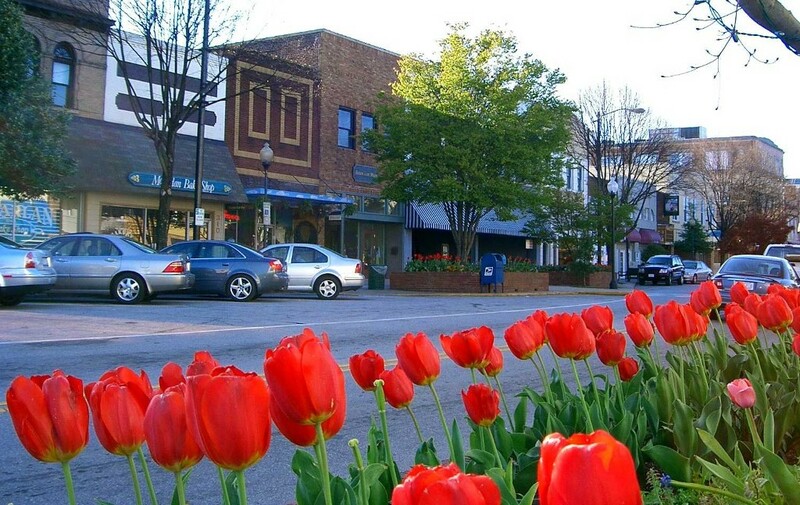 Hendersonville was nicknamed the 'Friendliest City in America in 2008', this is one of the best small towns in North Carolina. Fall is a lovely time of year in Hendersonville the City of Four Seasons. Whether you are looking to explore an apple orchard, go for a hike in perfect temperatures or simply visit with friends, downtown Hendersonville is your base of operations! With over 20 unique dining options to choose from and plethora of unique retailers, downtown offers the perfect complement to your fall mountain experience. The region’s thermal belt weather enhances the taste of sweet apples and provides year round weather conducive to golf and outdoor activities. Hendersonville's Flat Rock Playhouse and the Blue Ridge Community College host year round comedy, concerts and theatrical performances. The Flat Rock Playhouse is home to The State Theater of North Carolina. The seven piece Hendersonville Symphony Orchestra perform at festivals and at the Blue Ridge Concert Hall. For those who enjoy big band music and dancing, the 19-piece band Hendersonville Swing Band travels around the city for private and public performances at the Hendersonville High School. 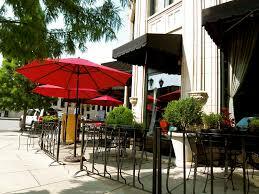 The Arts Council of Hendersonville County continually offers high quality art exhibits on Main Street in downtown. In addition downtown plays host to a variety of activities from a fabulous outdoor art show, Art On Main, to our annual Bearfootin’ Art Walk Auction and the popular Trick or Treat Street Costume Contest, DJ party and candy event.